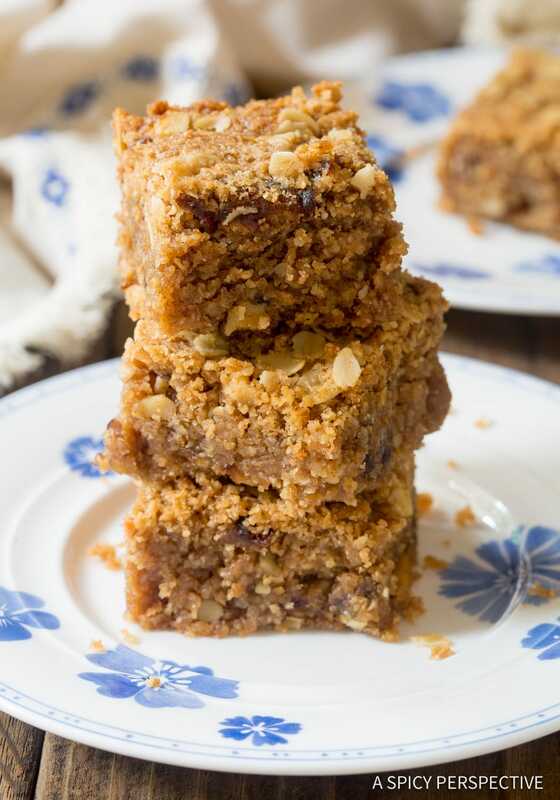 Breakfast Oat Bar Recipe – Gluten Free and Vegan breakfast bars made with oats, dates, and nuts. These delicious bars make fabulous after school snacks! Back to school breakfasts can be a little tricky. We want our babies to have full bellies before they head out for the day. Yet it’s not always possible to make a full-scale breakfast, with early bus schedules and such. That’s why we are big fans of breakfast bars! Although you can buy breakfast bars in the cereal aisle at your local grocery store, they taste SO much better homemade. 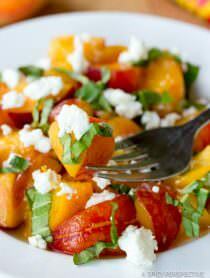 Not only that, you have the ability to adjust the ingredients to suit your family’s likes and dietary needs. Our daughter Ava struggled with health issues last winter. Although she is much better now, a side effect of her illness is that she now has strong reactions (intolerances) to Dairy, Gluten, and Rice. The rest of us can pretty much eat anything we like. However, we have experimented with all sorts of alternative recipes so she can enjoy desserts, and other foods kids like to eat. Rice has surprisingly been the trickiest food to avoid, because so many of the gluten free and dairy free options available are made with rice flour or rice syrup. 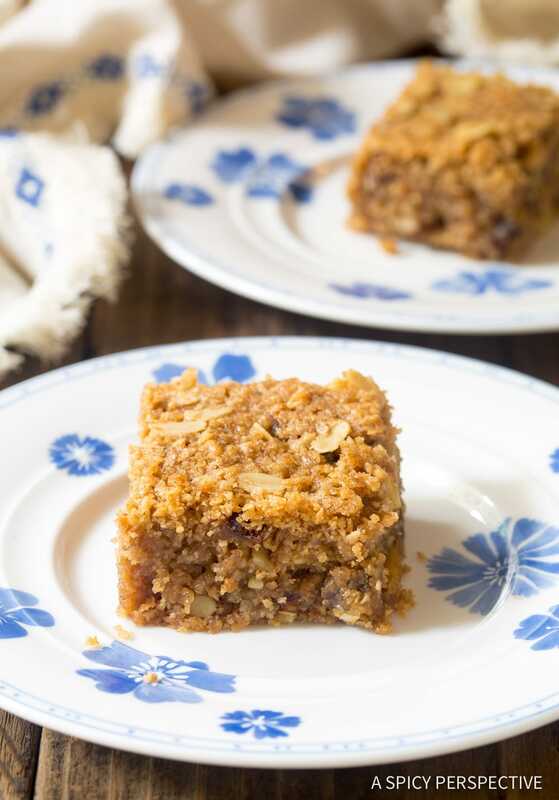 This Breakfast Oat Bar Recipe is a copycat recipe we created after finding oat bars she could eat at a local coffee shop called the Dripolator. We were surprised to find gluten free vegan baked goods, without rice flour, so we bought a couple extra bars as taste-testers and went home to experiment in the kitchen. 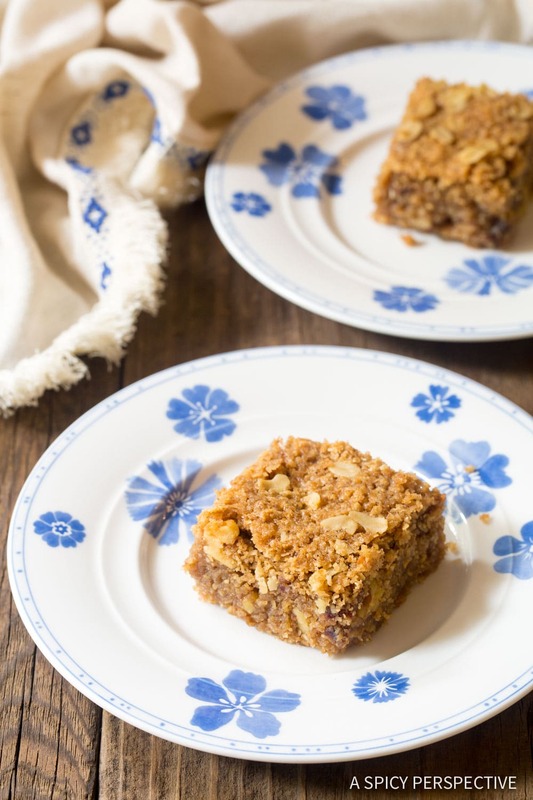 The Breakfast Oat Bar Recipe we came up with is soft and decadent with a strong brown sugar oatmeal essence. 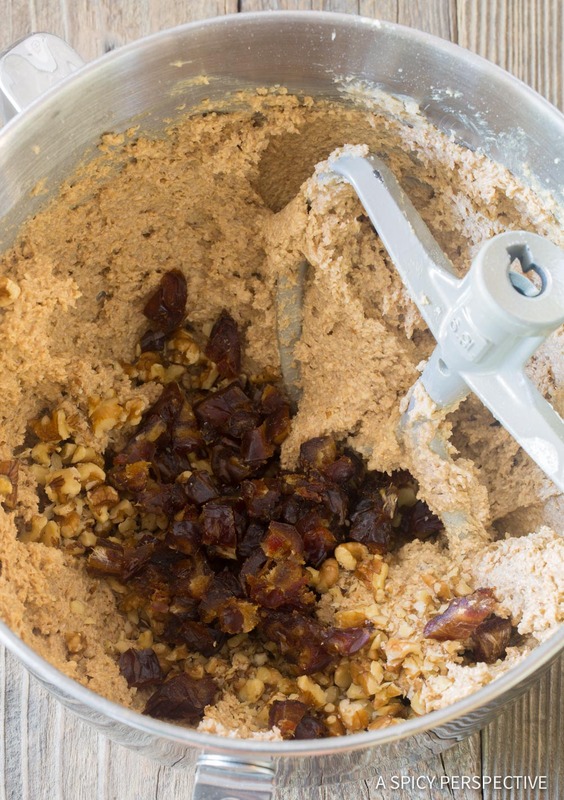 There are nuts and chunks of dates speckled throughout to offer crunch and depth of flavor. It’s important to note, that because they are vegan, they are also egg-free. This makes them great for anyone with food allergies or intolerances to: Wheat/Gluten, Dairy, Eggs, Rice… and the Nuts could be easily omitted as well! I find they are great to take to parties and events, when you don’t know who your serving. We used “flax eggs” in place of eggs, which consists of ground flax seeds and water. The mixtures thickens into a gel substance that makes a wonderful egg substitute for baking. 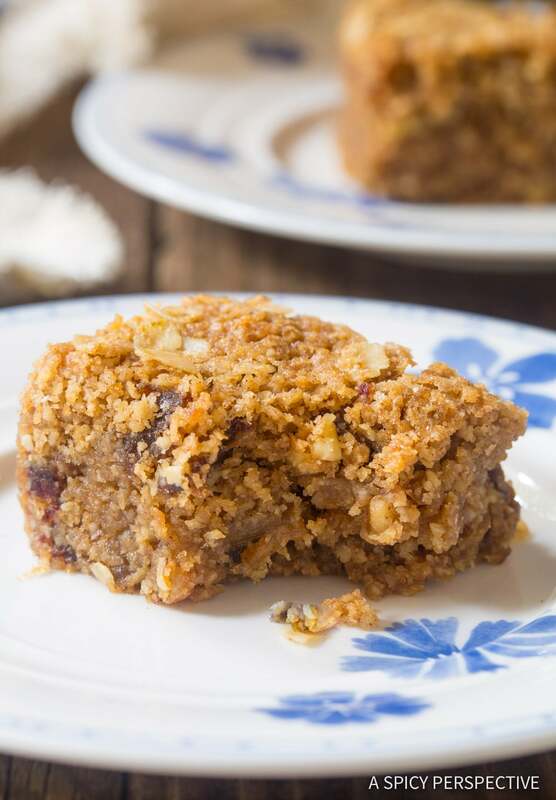 However, if no one in your family is vegan or intolerant to eggs, you could certainly remove the flax seeds and water, and add 2 large eggs to this Breakfast Oat Bar Recipe. 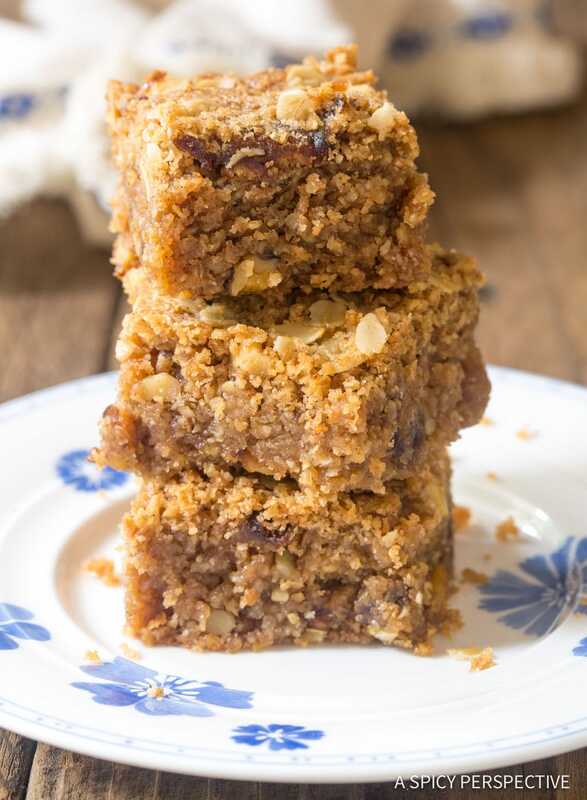 Our Breakfast Oat Bar Recipe makes a perfect quickie breakfast or snack because each bar offers nearly a full serving of oats, along with nuts and dates. Yet best of all they taste delicious and have the most fabulous soft, moist, and slightly crumbly texture, so no one ever turns them down. Give them a try this week! 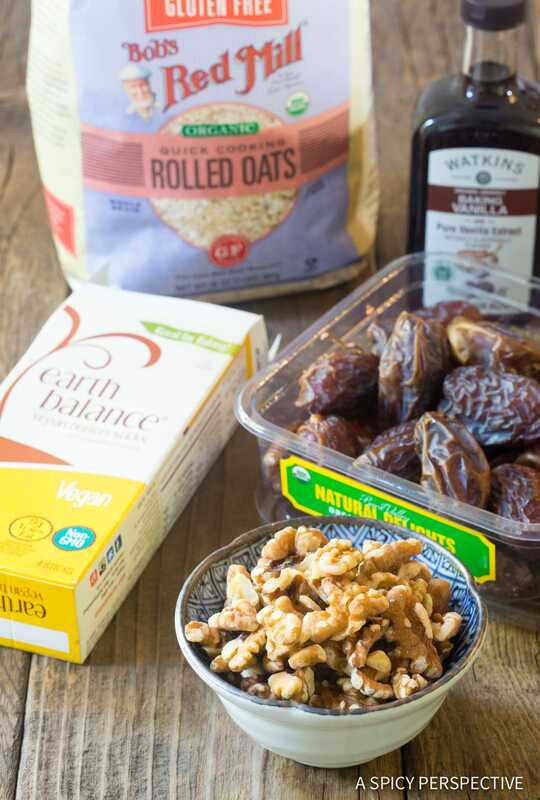 Breakfast Oat Bar Recipe - Gluten-free and vegan breakfast bars made with oats, dates, and nuts. 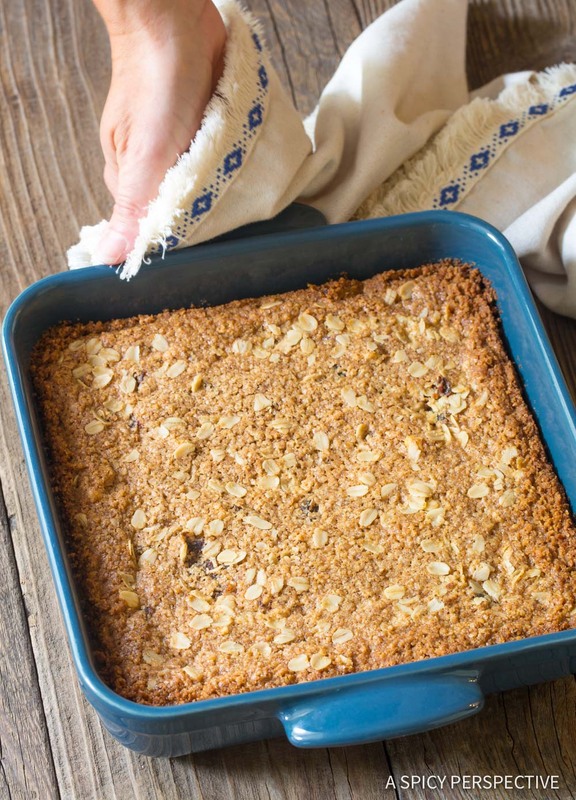 These delicious bars make fabulous after school snacks! Preheat the oven to 350 degrees. Spray a 8x8-inch baking dish with nonstick cooking spray. 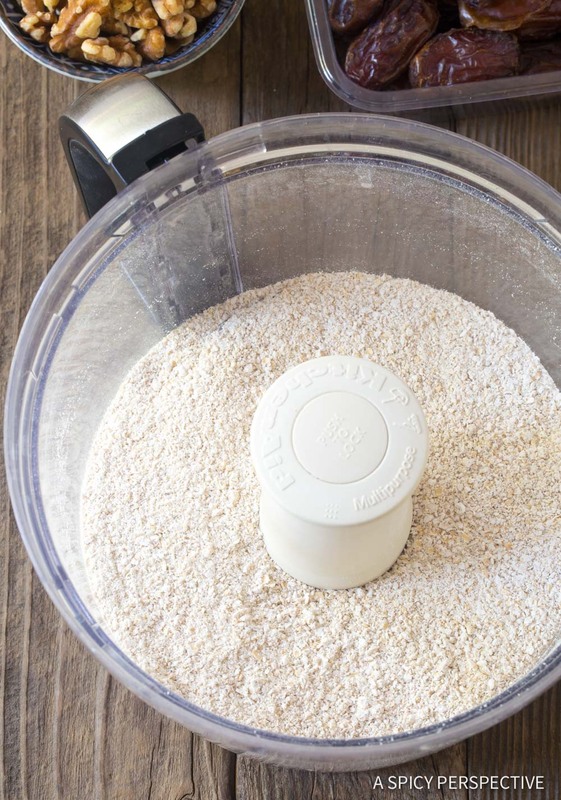 Meanwhile, pour 2 1/2 cups of oats into the food processor and grind into fine oat flour. 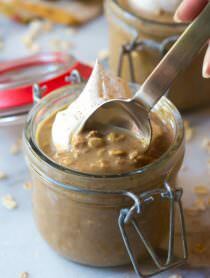 Place the brown sugar and vegan butter into the bowl of an electric mixer. Beat on high to cream the “butter” and sugar together until light and fluffy, 3-5 minutes. Roughly chop the nuts. Then remove the pits from the dates and chop into small pieces. Scrape the mixing bowl with a spatula and add the vanilla, cinnamon, salt, oat flour and remaining oats. Beat on low. Add in the flag "eggs” and continue to beat until smooth. Finally, turn the mixer on low and mix in the dates and nuts. Scoop the mixture into the prepared baking dish. Spread the batter out evenly, then sprinkle the top with extra oats if desired. Bake for 45 minutes, or until the center is puffed and doesn’t jiggle when you shake the pan. Cool the bars completely. Then cut into 16 squares. Store in an airtight container for up to one week. If using some sort of vegan powdered egg substitute, add enough powder and water to create 2 eggs. Butter would be the best substitution. The bars will taste amazing! These are sooooo delicious! I cut the sugar to one cup and they are still sweet enough. Thanks for sharing! I haven’t made these yet, but they look amazing! Wondering though if I can substitute coconut oil for the vegan butter? Thx! I made these breakfast bars a couple days ago and they are so good! 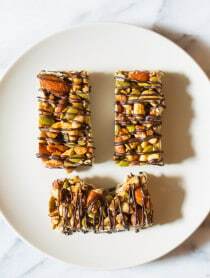 I sometimes have a difficult time making vegan baked goods for my daughter and grandson but these bars are amazing and do not taste like many so-called “healthy” bars. They’re filling and a perfect on the go breakfast. Thank you so much for sharing this recipe. I give it 5+ stars! Can you reduce the amount of sugar ? The recipe sounds wonderful but 24 grams of sugar is more than I’d like to consume. Yes, you can reduce the sugar a little, but it does change the texture a little bit.